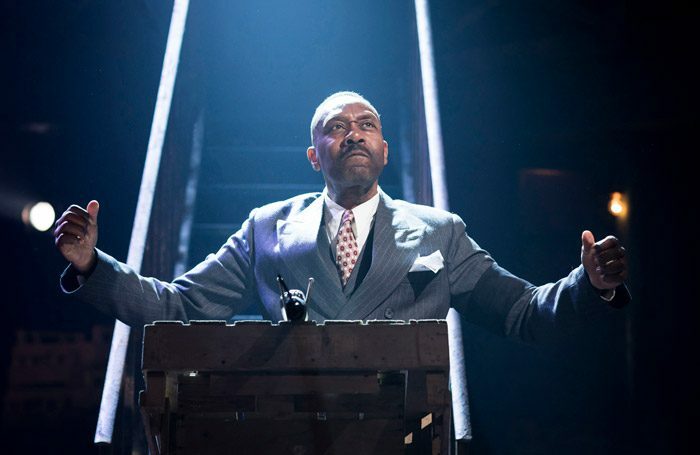 Lenny Henry has been cast in August Wilson’s King Hedley II, which is being revived at Theatre Royal Stratford East next year. Henry last appeared on stage in the Donmar Warehouse’s production of The Resistible Rise of Arturo Ui in 2017. He will star as Elmore in King Hedley II, which is being staged as part of Nadia Fall’s inaugural season as artistic director of the east London theatre. King Hedley II runs from May 17 to June 16, 2019, with press night on May 23. It is directed by Fall. The season opens with Peter Shaffer’s Equus, in April, and also includes an adaptation of Malorie Blackman’s Noughts and Crosses.